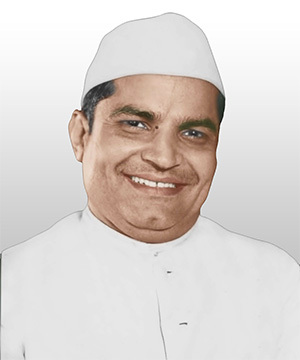 Premcem Gums was founded by late Shri Chhaganlal Velji Joisher, son of reputed industrialist Shri Velji Narshi Joisher. The late Shri Velji Narshi Joisher hailed from the Kutchi Bhanushali community and migrated from Kutch to Mumbai in the early 1900s. He was the patriarch of the extended Joisher family which set up diverse business enterprises headquartered in Mumbai. Being responsible social citizens was a cherished value of the extended Joisher family, long before it was common parlance, and they strongly believed that they must play a role in uplifting their fellow community members. The extended Joisher family started its CSR journey in the early 1950s as the founder-donors of ‘Bhanushali Nagar’ which was established, and is still run, by the Shree Kutchi Bhanushali Seva Samaj Trust (SKBSST). Bhanushali Nagar consists of a temple, around 140 small apartments, and a few large halls for hosting social functions at highly subsidized rates. In the early days most of the members of the Kutchi Bhanushali community coming to Mumbai from Kutch could barely make ends meet. In order to assist them in establishing themselves in Mumbai, the SKBSST offered them the small apartments in Bhanushali Nagar in return for only a small token of money. Hence at a time when most of the Bhanushali community members had little or no exposure, to higher education and trade and commerce, Bhanushali Nagar played a pivotal role in helping them to step out of a traditional mind-set and surge forward in education and business. Taking this family tradition ahead was Premcem Gums’ founder, the Late Shri Chhaganlal Velji Joisher who, apart from being an established businessman, was personally involved in setting up and running schools in villages of Kutch. Many of the older members of the community recall stories of him riding from village to village to oversee school examinations. It is in his memory and honour that our Chairman, Mr. Pratap Joisher started the Chhaganlal Velji Charitable Trust in 1992. Premcem Gums is proud to be a part of his rich legacy and channels its various CSR initiatives through the Trust.